The KAB T4 is a high backrest seat top, that can be mounted to a variety of suspension, slide rail, or fixed bracket assemblies. 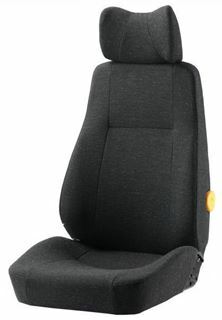 The seat top assembly can be used for virtually any application requiring an ergonimcally sound seat. Can be supplied in a variety of trims and specifications, as listed below.